The Official launch for No. 2999 Lady of Legend. 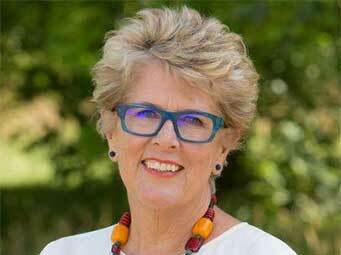 Didcot Railway Centre are delighted to announce that TV presenter and former member of the British Railways Board Prue Leith will be launching 'Lady of Legend' on Friday 5th April at 11.15am. The celebrations will continue over the weekend with family attractions including an Edwardian trail and many visitors adopting Edwardian dress. On the Saturday and Sunday, TV's Christine Wallace will be demonstrating Edwardian cookery. Trains will be running over all three days and you may ride as many times as you like in our coaches of the period for no extra charge. The Great Western Railway 'Saint' class locomotives, introduced by G J Churchward in 1902, represented one of the most important steps forward in railway traction of the 20th century. The class incorporated many revolutionary advances in design and the 'Saints' are now acknowledged to have had a profound influence on almost every aspect of subsequent steam locomotive development. Unfortunately no example was saved for preservation, the final engine, No. 2920 Saint David, being withdrawn from service and scrapped in 1953, ending a distinguished half century of work by the class - until now! Since 2004 the Great Western Society has been working to re-create an example of this iconic class.